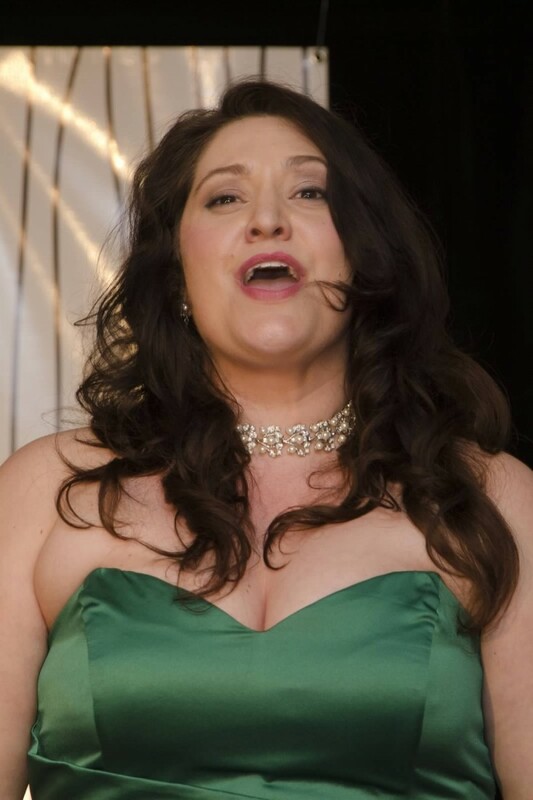 Christina Kaloyanides is a young dramatic soprano of Greek and Polish heritage from Chicago, Illinois. Christina has been praised for her formidable voice that moves effortlessly while bringing audiences into her world; holding them until the end of the performance. Christina is available for solo performances, galas, weddings, funerals, voice lessons, and much more. She maintains a vocal studio here in Chicago and At Noteable Notes Inc. in Wheaton, where she enjoys teaching people of all ages and levels, bringing her background in both instrumental and vocal techniques. Christina is an amazing teacher! Christina has been my vocal teacher for almost a year now. Thanks to her constant help and willingness to expose me to new material and expand my vocal diversity, I have improved more in the past year than I could have imagined. Christina always does her best in and out of the studio to provide me with the proper music, technique, and encouragement so that I can always reach my full potential. Christina has performed internationally throughout Italy, Austria, Prague, Mexico, and here in the United States. She is best known for her performances of Strauss' Vier letzte lieder, the title role of Tosca, & Magda in The Consul. In addition to Christina's performance focus she also spends time to develop, support, and nurture the work of artists and the arts as well as giving back to the community in general. Her background in arts administration, performing, teaching, fundraising, and business management gives her a unique perspective. She maintains a vocal studio here in Chicago and At Noteable Notes Inc. in Wheaton, where she enjoys teaching people of all ages and levels, bringing her background in both instrumental and vocal techniques. Christina received her Masters of Music degree from The University of Texas, and a Bachelors in Vocal Performance and Minor in Vocal Pedagogy and French horn performance from The Chicago College of Performing Arts at Roosevelt University.